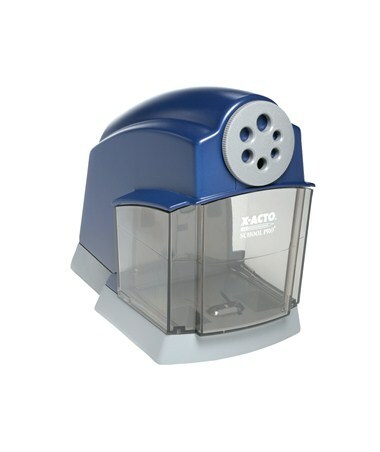 The X-Acto School Pro Electric Pencil Sharpener is specifically designed for classroom setting. 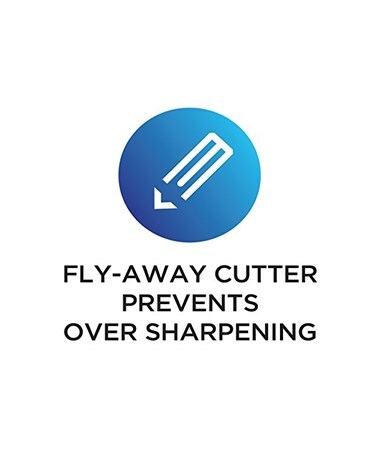 To ensure maximum safety, it features a patented fly-away cutter that produces safe, rounded pencil points. 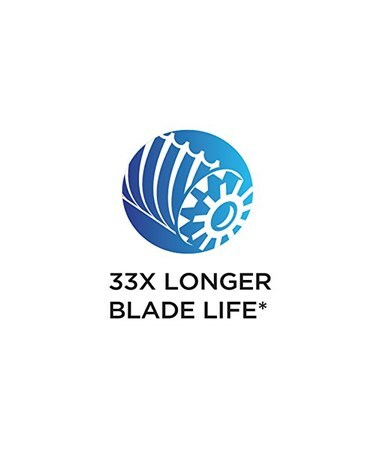 The hardened steel helical cutter offers 33 times longer blade life while providing secure and efficient sharpening. 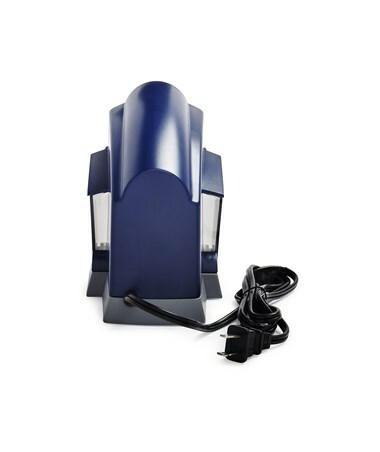 It is equipped with Safe Start Operation feature which prevents sharpening when the shavings receptacle is removed. 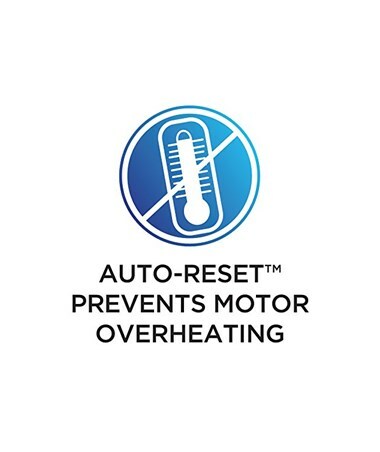 It also utilizes the Auto-Reset System to protect the motor against over-heating during continuous use. 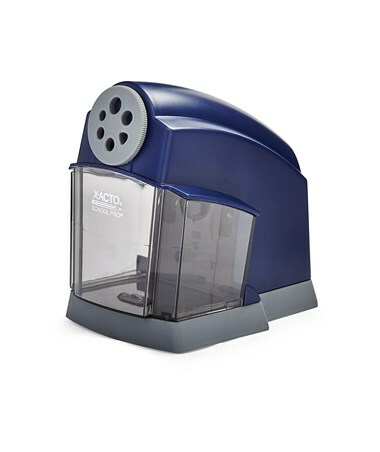 The extra-durable outer case and heavy-duty motor of this classroom electric sharpener make it a perfect choice for high volume sharpening. 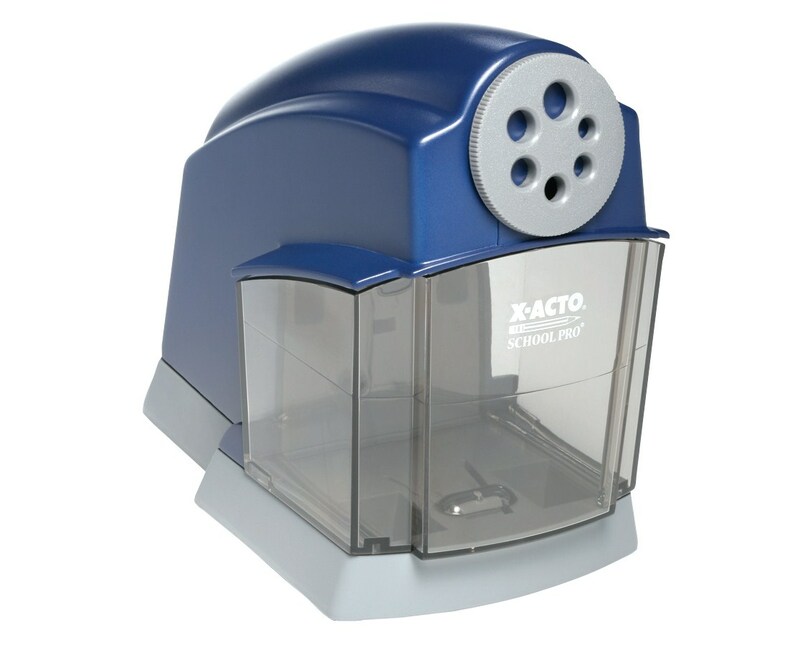 It has six-pencil hole selector dial to allow sharpening of various pencil sizes. 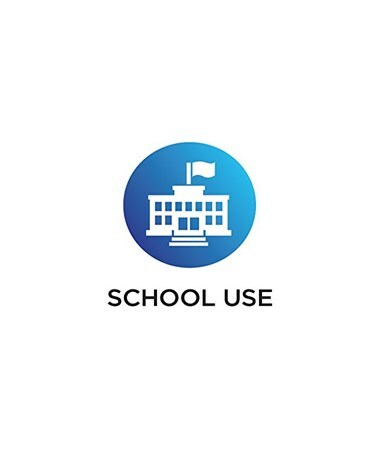 Over-sharpening is not a problem with the Pencil Saver Technology. 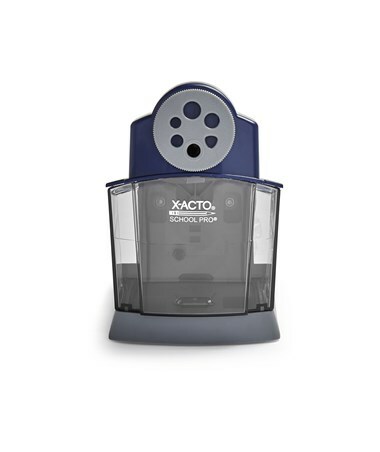 The large pencil shavings receptacle accommodates high amount of pencil shavings to guarantee long period of sharpening without interruption. 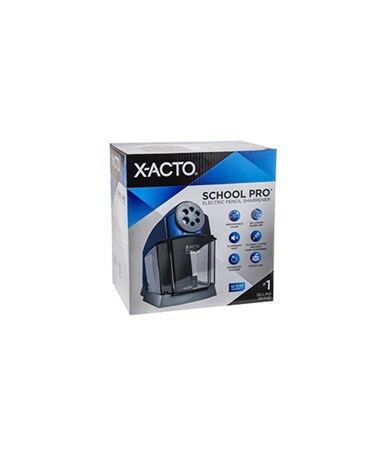 The X-Acto School Pro Electric Pencil Sharpener comes with a suction cup bottom for additional stability and convenient sharpening. 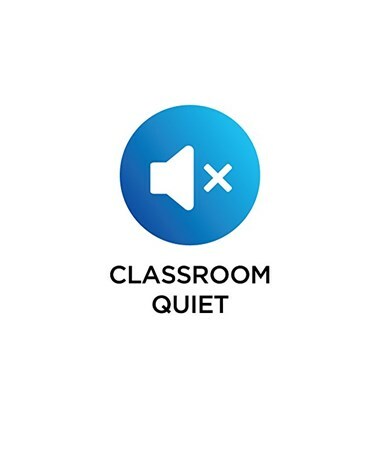 It has a quiet motor to maintain a no-noise classroom environment. 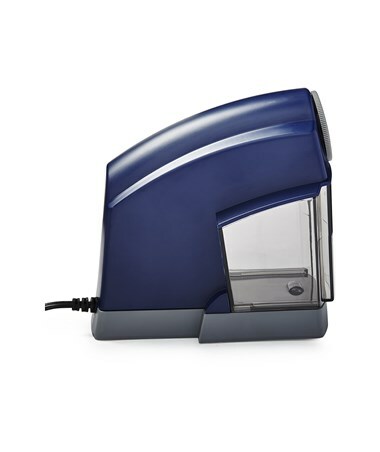 A replacement cutter assembly is available for this sharpener.